North Lake Tahoe received its first snowfall on Thanksgiving, and it’s been dumping snow ever since! With five ski resorts already open and more on the way, many skiers and snowboarders have already gotten their first powder turns in — which is practically unheard of for the beginning of December. But if being in the cold outdoors isn’t your thing, there is plenty to do indoors as well. 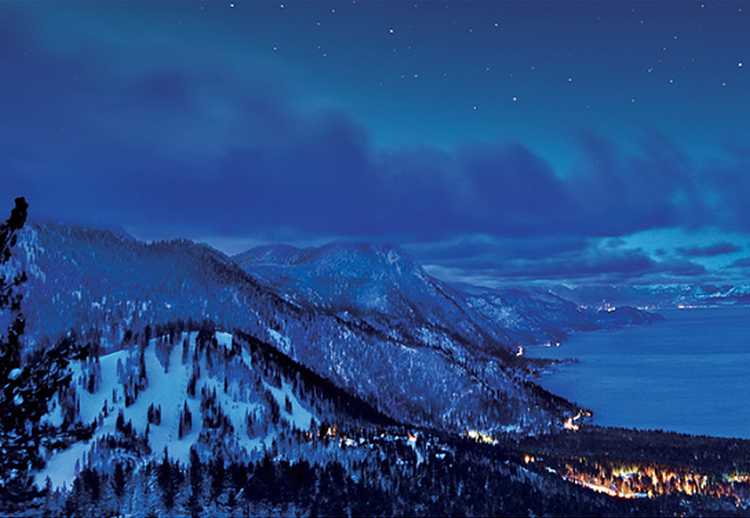 The holiday period kicks off with Incline Village/Crystal Bay’s annual Northern Lights with events all month long from November 29 — December 31, including the 4th annual Tahoe Film Fest, which features at least 20 internationally-acclaimed films all over North Lake on December 6-9. So snuggle up with loved ones, grab some hot chocolate and winter treats, and let’s celebrate the snow! Saturday, Dec. 1 — Glasses Wine Bar “Paint for Snow” Party hosted by Easel and Wine to be held 6-8pm. Buy tickets here. Dec. 6-9 — 4th Annual Tahoe Film Fest will present 20 internationally-acclaimed films with an environmental conservation them to be shown at the Incline Village Cinema, Northstar California, and other small pop-up theaters around North Lake. New films include “Living in the Future’s Past” with Jeff Bridges and “Everybody Knows” starring Penelope Cruz and Javier Bardem. Saturday, Dec. 8 — Brunch with Santa at the Chateau at Incline Village presented by Tahoe Family Solutions. Seatings are at 8am, 10:30am, and 1pm. Reservations required; call 775-413-5145 for details. Friday, Dec. 14 — Community Holiday Party at Sierra Nevada Properties from 3:30pm-6:30pm. Enjoy food, drinks (and spirits for those over 21), and cookie decorating. Monday, Dec. 31 — California Honeydrops with a Jelly Bread After-party at Crystal Bay Club Crown Room starting at 9pm. Have a merry and safe December; we’ll see you in 2019!